The Free Trade Zones have become a permanent source of employment and income for the Dominican people, due to the fact that they can be established in any part of the country, including places where jobs cannot otherwise be created in a speedy and effective manner. It is in the national interest to promote a policy of increasing employment by stimulating the creation of new enterprises, whose production is aimed primarily toward the export market. A rapid and harmonious development of the Free Trade Zones of the country requires a consolidation of the various rules of law scattered throughout the existing legislation. The Operators and the enterprises installed in the Free Zone under the protection of this Law, should obey all the laws, rules and current dispositions of the Work Code and labor laws. Likewise should satisfy the established duties drawn by the Social Insurance Law, Law No. 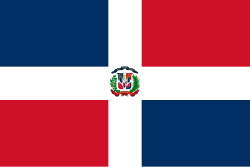 116 which creates the National Institute for Technical Professional Education (INFOTEP), the international agreements subscribed and rectify by the Dominican government and the Sanitary Laws for the industrial infrastructures.